The leaves are spectacular this time of year! It’s hard to even come close to nature’s beauty, but I gave it a try. 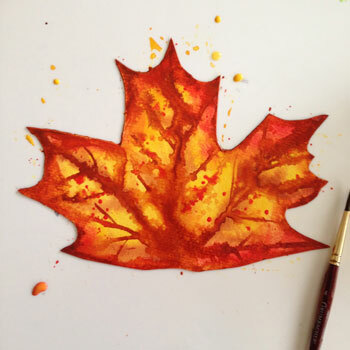 Categories: Watercolor | Tags: Art, autumn, fall, leaves, tree, trees, watercolor | Permalink. 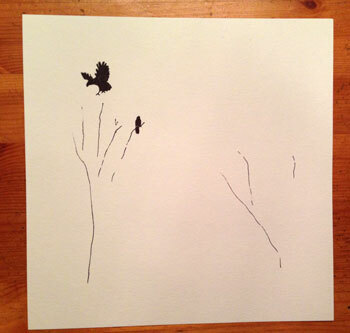 I started by drawing, in ink, a few of the crows. 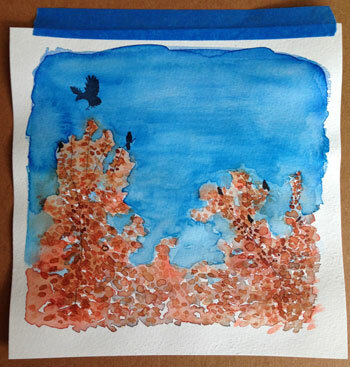 I added the sky and the shape of the trees in watercolor. 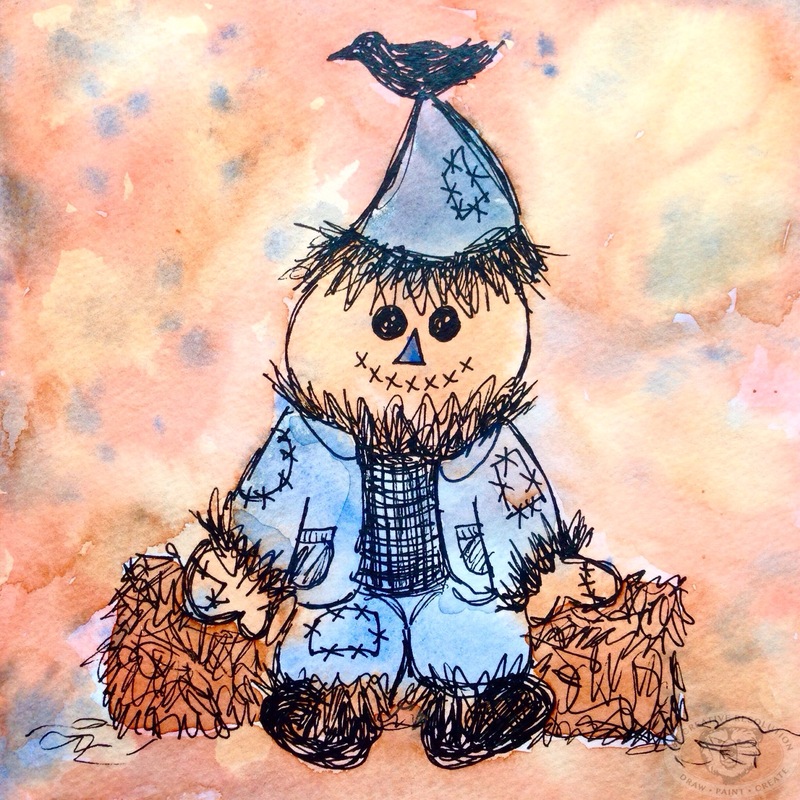 When that dried, I added a few more crows. 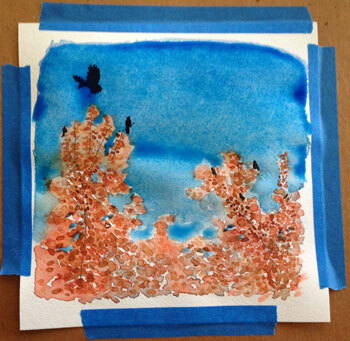 I realized the sky wasn’t blue enough, so I added a richer layer of blue. 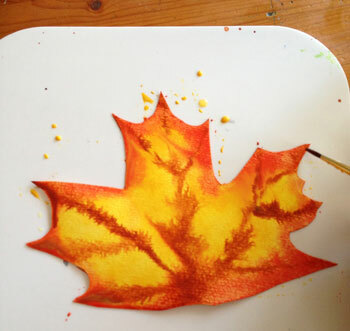 I also added more oranges and browns in more definitive leaf shapes. 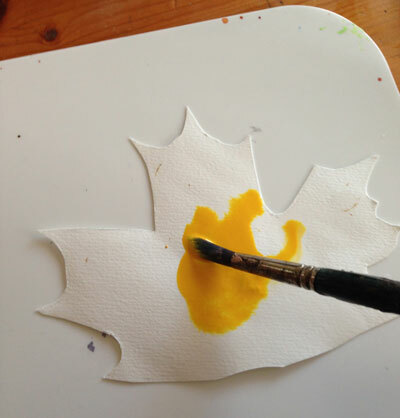 I drew the outlines of the leaves in ink. 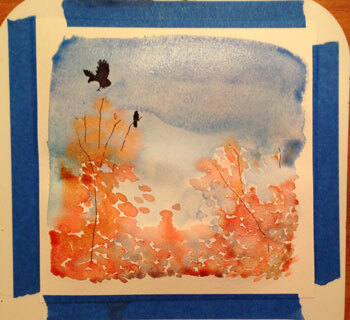 I added more orange and brown to give the trees more depth. 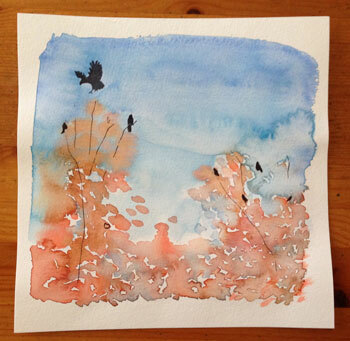 I tried to cover up and soften the line that the second layer of blue sky had created between the sky and the trees. 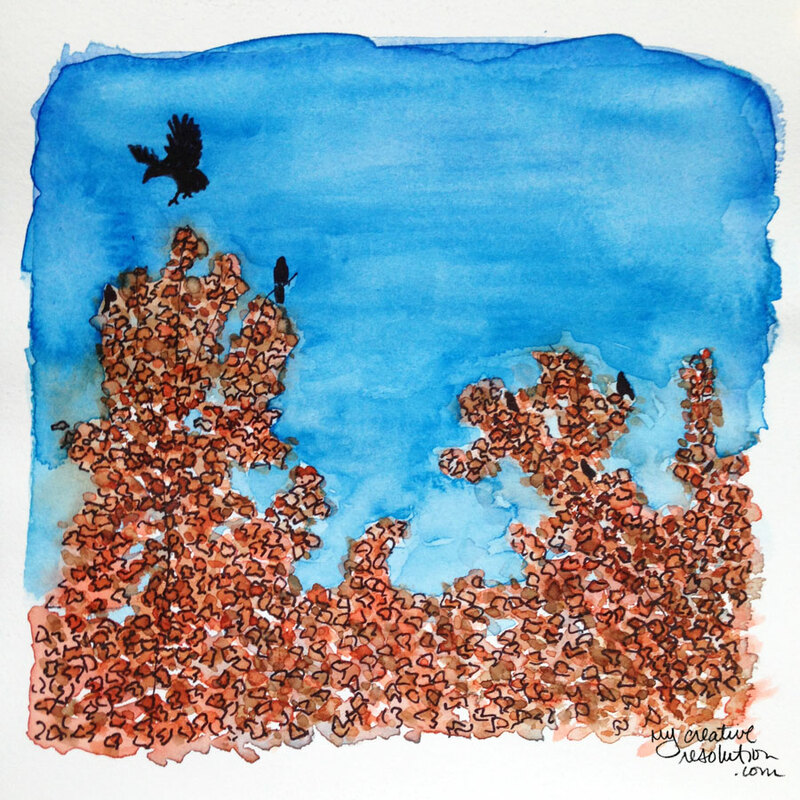 Categories: Pen & Ink, Watercolor | Tags: Art, autumn, birds, crows, fall, ink, painting, trees, watercolor | Permalink. I told you I was into trees! Trees and leaves! 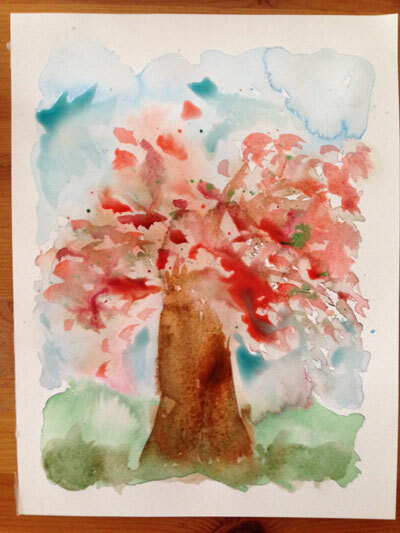 For this piece I started painting, very wet, with watercolor. 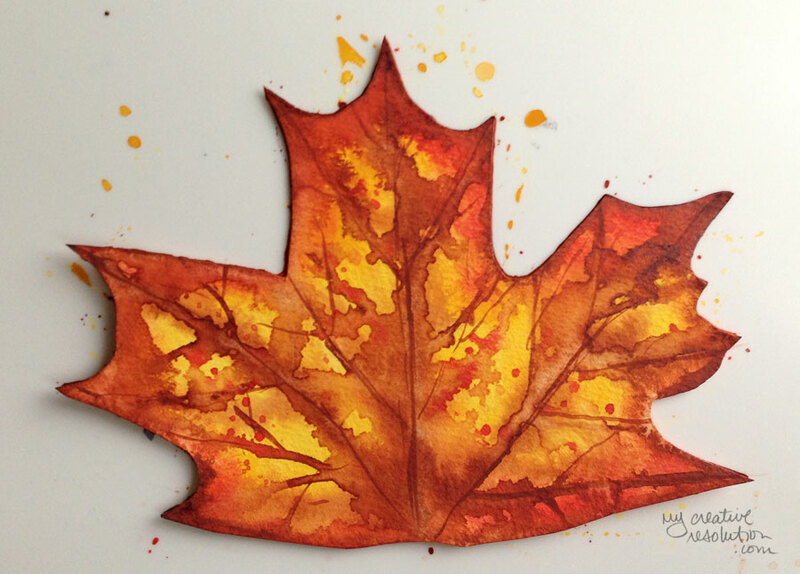 After the painting dried (a little) I went back and added more color and some leaf shapes. 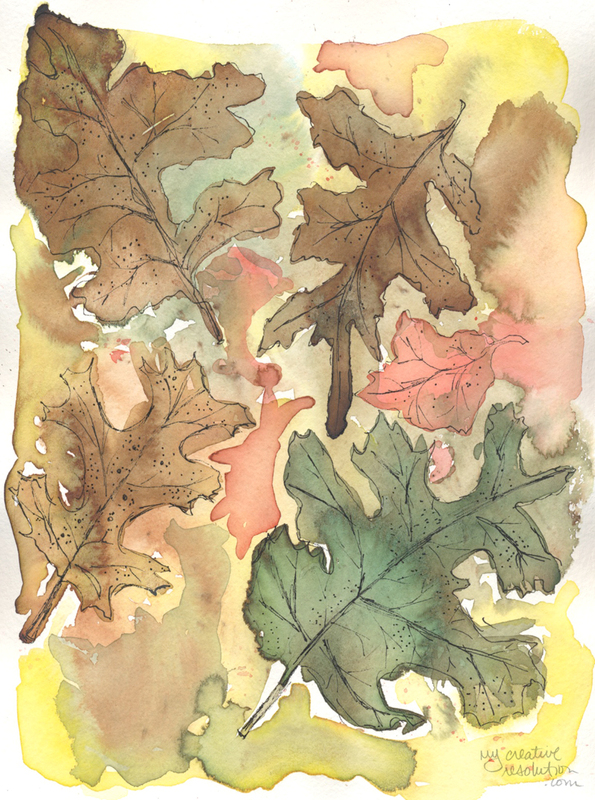 When that was completely dry, I started drawing, in ink, the shapes of the leaves and the lines of the bark. Then, I added more color. I love the style of this. It is so fun to doodle in ink. You kind of go into a trance where you are half paying attention. Sometimes it takes a little bit, but eventually I find my groove. I find it helpful to add the ink while I’m watching TV! There were a couple of parts of this piece that were bugging me, so I did a little retouching in Photoshop. I don’t normally do this. I’m a Graphic Designer and spend a lot of time using Photoshop. I prefer to keep my art “handmade,” but I loved this piece and had to fix those nagging issues. 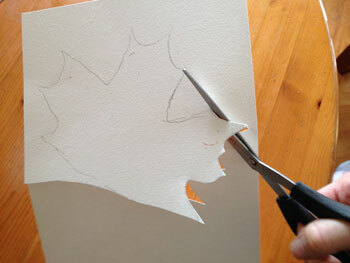 I need to start clamping down my paper to a board or taping it. My paper buckles and the paint puddles. 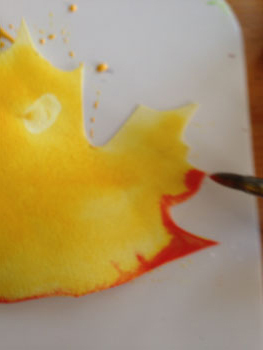 See more trees, trees and leaves! 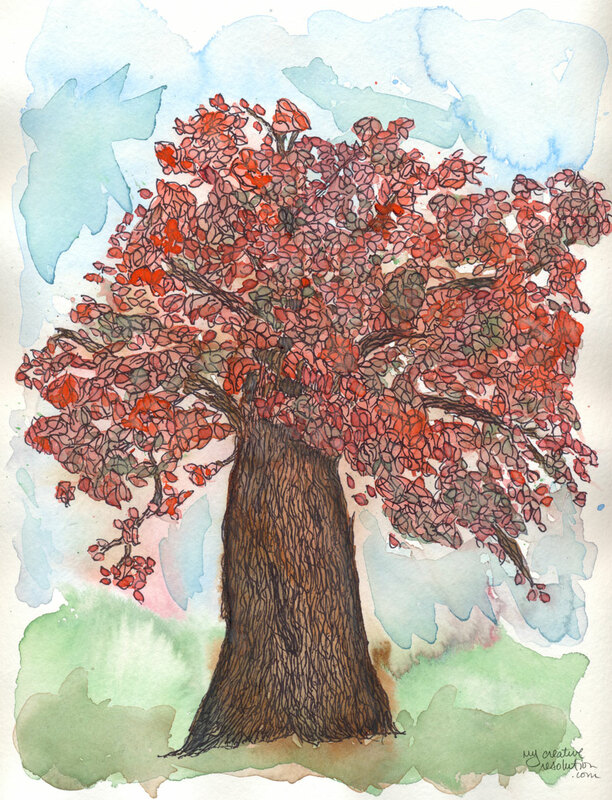 Categories: Pen & Ink, Watercolor | Tags: Art, autumn, Drawing, fall, illustration, leaves, tree, trees, watercolor | Permalink. 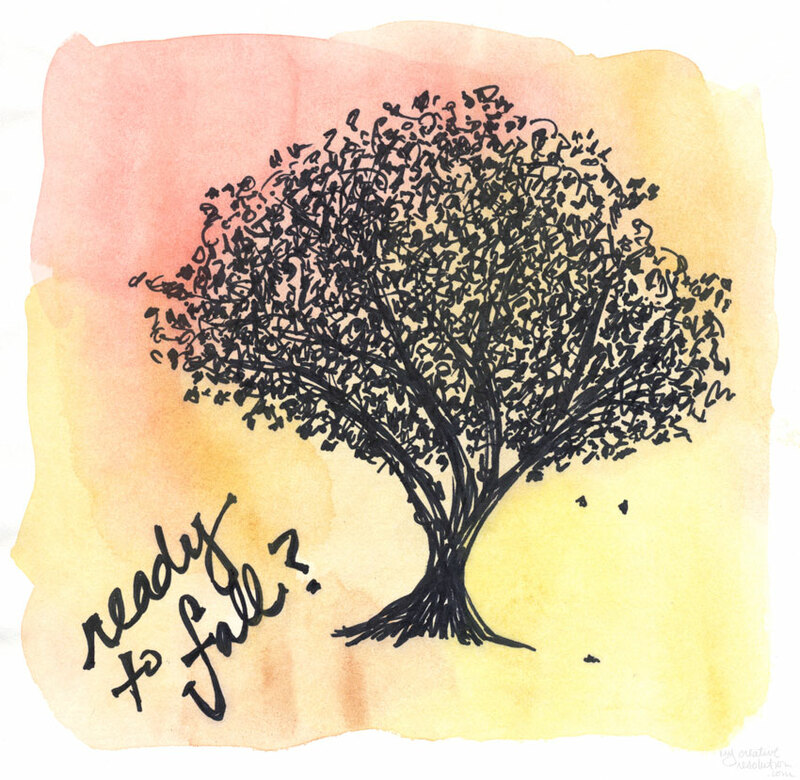 Categories: Pen & Ink, Watercolor | Tags: Art, autumn, fall, illustration, illustration style, ink, leaf, leaves, tree, watercolor | Permalink. 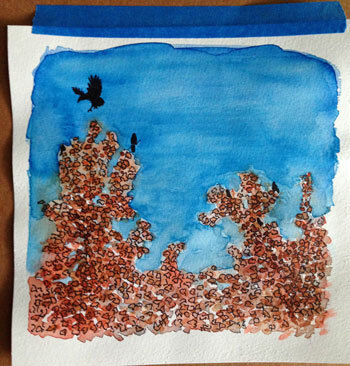 This painting was part of my painting party. 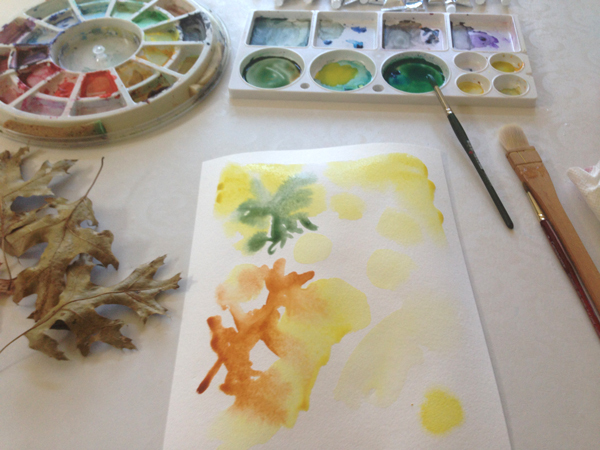 I worked very wet, letting the colors bleed together, only hinting at each leaf. I added several layers of paint. After I was done, I added some details with ink. 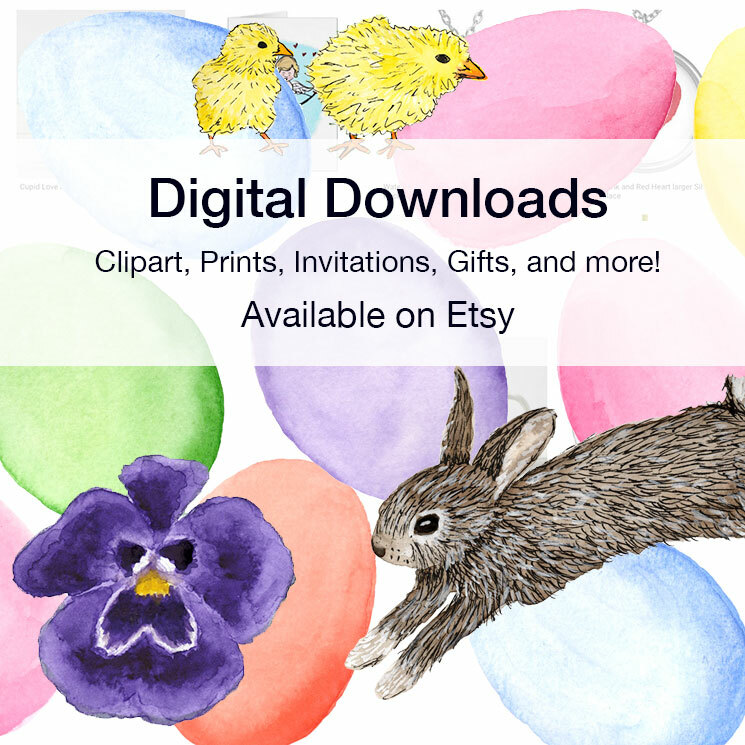 Categories: Pen & Ink, Watercolor | Tags: Art, autumn, Drawing, fall, illustration, ink, leaf, leaves, paint, painting, watercolor | Permalink. 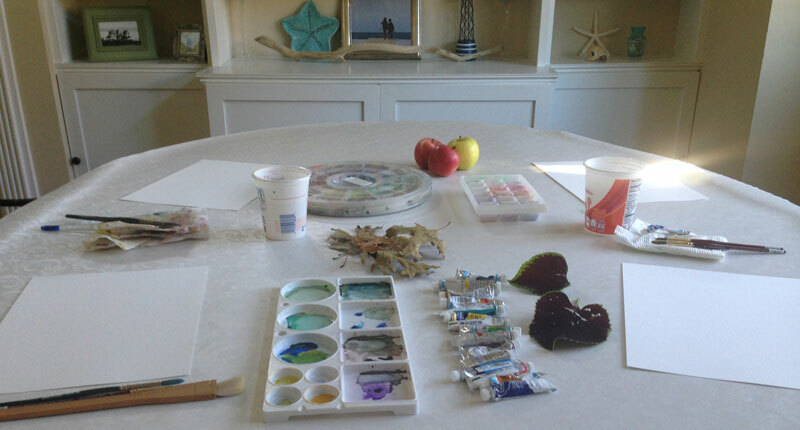 Today I set up the table like I was having a painting party – although it was all for me! I set up 4 different seats. I grabbed a couple of different leaves from the yard and some apples. 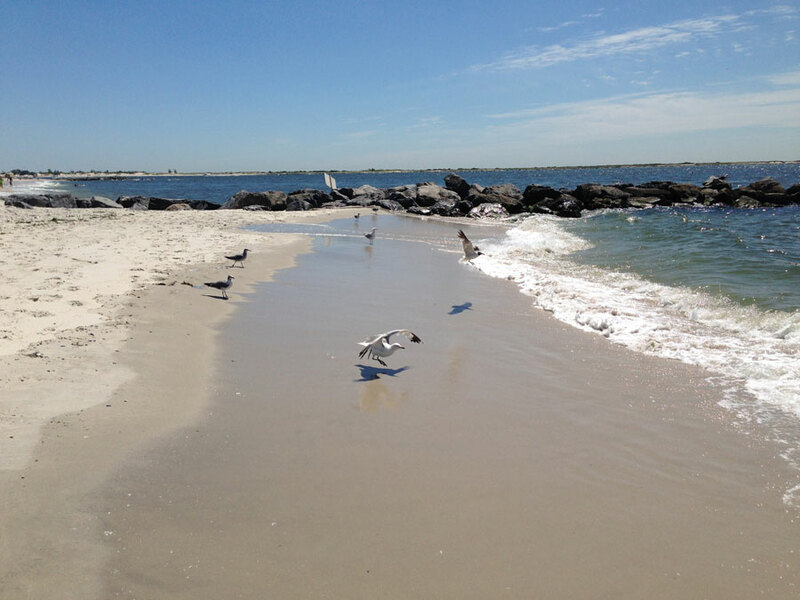 I sat at 3 of the seats, working from a different subject each time. 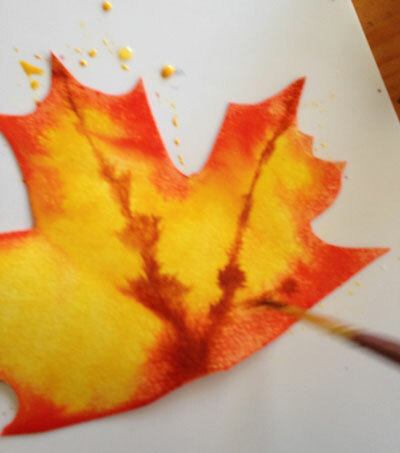 I went back and added paint to the fall leaves painting (left) and the red leaf painting (middle). 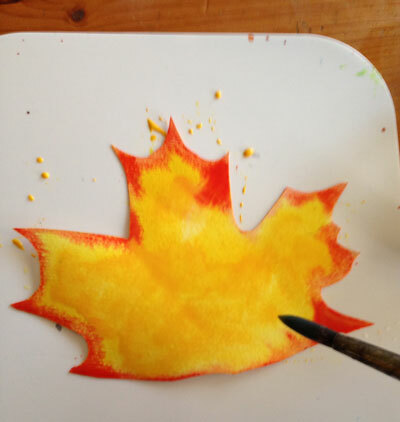 I’m excited to add ink to the fall leaves painting! I didn’t have a set subject I wanted to work on. 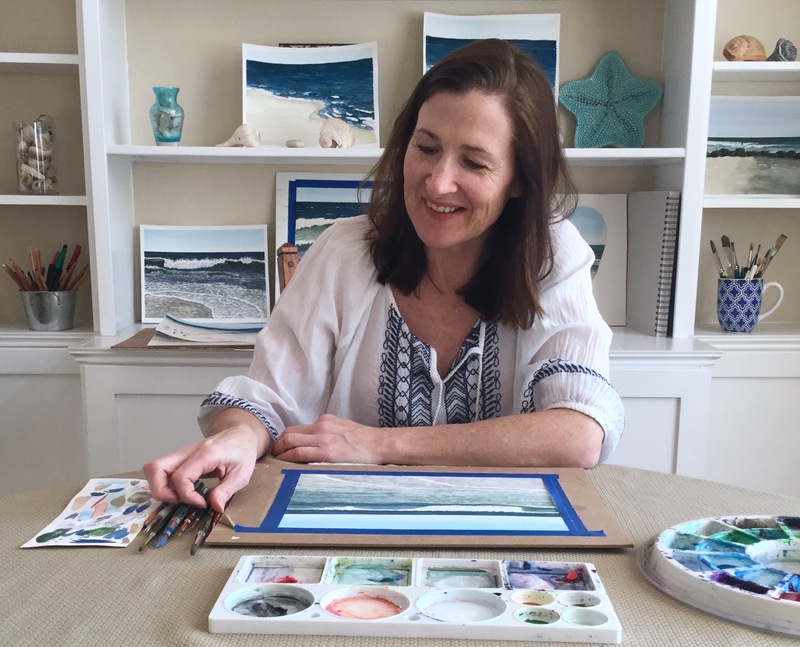 Since you need to let the paint dry before you can add more color and detail, it’s the perfect time to switch seats and projects! 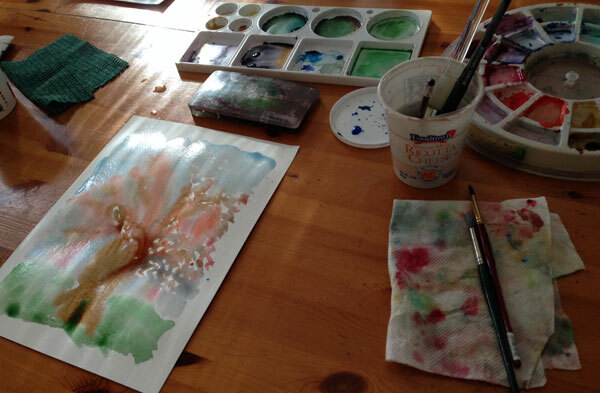 I wanted to end up with several watercolors that I could continue to paint or add ink to. 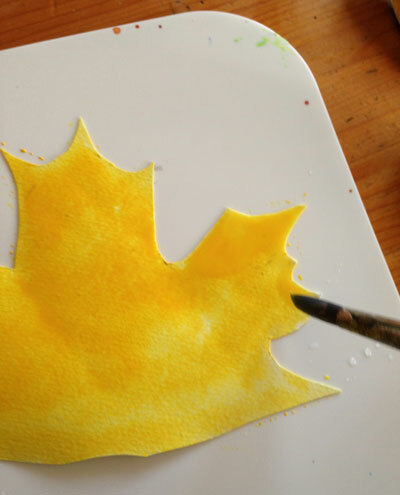 Last week I had a lot of success with my sunflower project, where I started the painting several times. Ironically, I thought the success was what I turned the outtakes into. Not the final sunflower painting! So, I wanted to start a couple of projects and see what I could do with them. 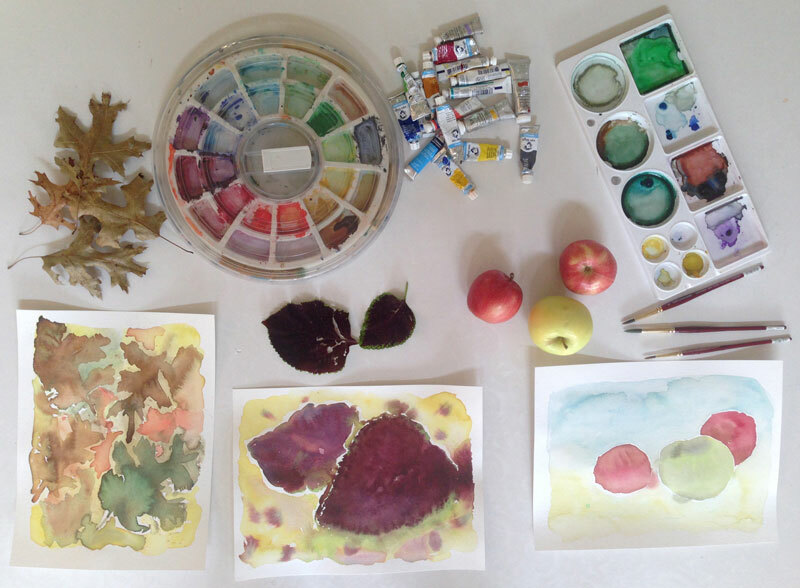 Categories: Watercolor | Tags: apples, Art, autumn, fall, leaves, paint, painting, watercolor | Permalink.